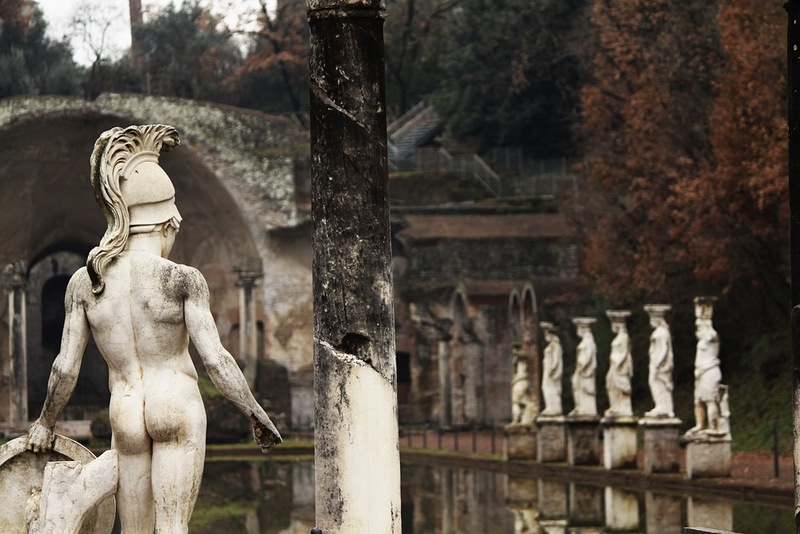 The gluteus medius is a promoter and a protector. I am amazed at all this little muscle can do, both in supporting healthy movement and safeguarding us from injury. As an important pelvic stabilizer, it helps us balance as we move from leg to leg. Sadly, like many smaller muscles, especially lateral ones, the gluteus medius is often neglected. This is because we walk, run and bend in the sagittal plane (back and forth) – and muscles on our sides can become weak. A weak gluteus medius can lead to strains throughout the body, including pain in hips, knees, heels and lower back. 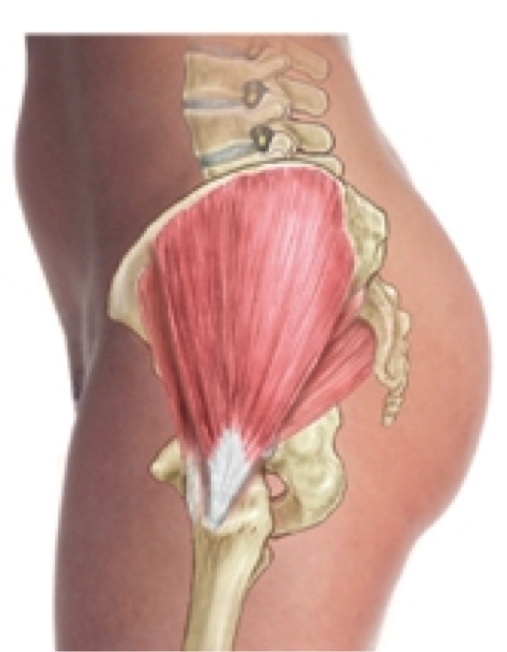 One of three gluteal muscles, the gluteus medius attaches on the illium, the largest bone of the pelvis. Its tendon attaches to the greater trochanter, a bony prominence on the top of the femur (thigh bone). 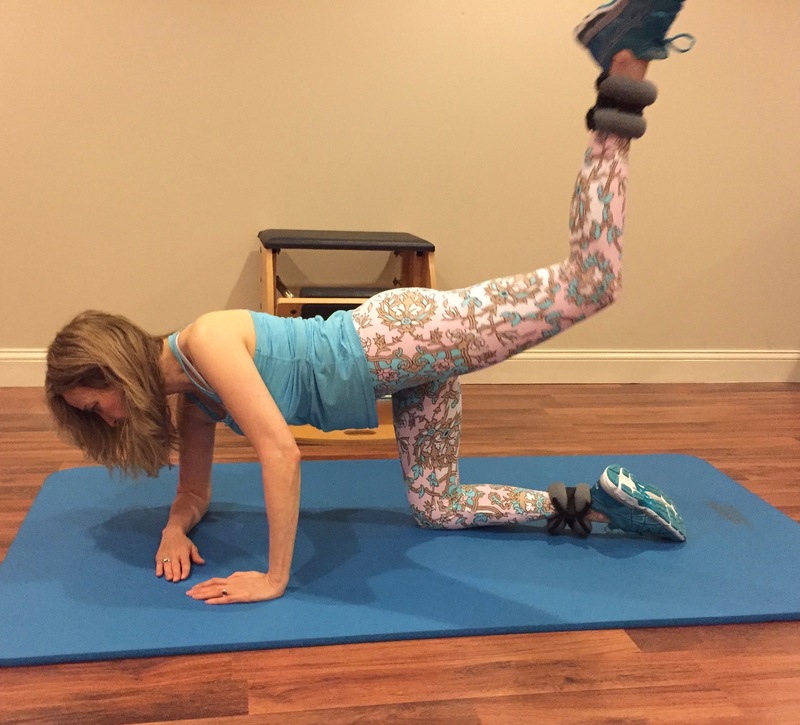 Let’s take a look at what the gluteus medius does and some ways to make it mighty with exercises illustrated at the end of this post. Healthy movement requires stability and fluidity in the hip joint and the gluteus medius helps with both of these functions. With proper biomechanics, the hips move on the same plane on both sides of the body. Because the gluteus medius muscle reaches from the outer hip to the thigh, it helps keep our hips level by supporting both the stabilizing leg and the one that is in motion when we walk or run. The gluteus medius stabilizes the pelvis to prevent strain from moving into the lower extremities each time we take a step. It does this by keeping the hip of the supporting leg from dropping as the other leg swings. As the gluteus medius abducts the supporting leg (pulls it away from the midline of the body), it helps maintain proper alignment down the kinetic chain – from the hip, femur (thigh bone), knee, down into the ankle and foot. 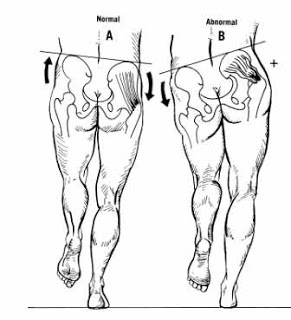 In the illustration to the right, Figure A maintains pelvic stability as the leg left leg swings, while Figure B demonstrates instability with a hip drop on the left side, indicating weakness on the right. The gluteus medius assists with the external rotation and extension necessary to swing the leg behind as we walk or run. It also helps decelerate internal rotation of the leg as it swings forward to prevent excess rotation in the hip. By maintaining a neutral pelvis as the leg swings forward, the gluteus medius prevents the knee from pulling inwards across the body and protects us from strain in the knee, hip and foot. As a pelvic stabilizer, the gluteus medius plays an important role in balance. When pelvic stability improves, so does balance. This is because our center of gravity rests in our pelvis. As the gluteus medius holds our hips level, our weight properly rests upon our pelvis instead of shifting down into our lower extremities. 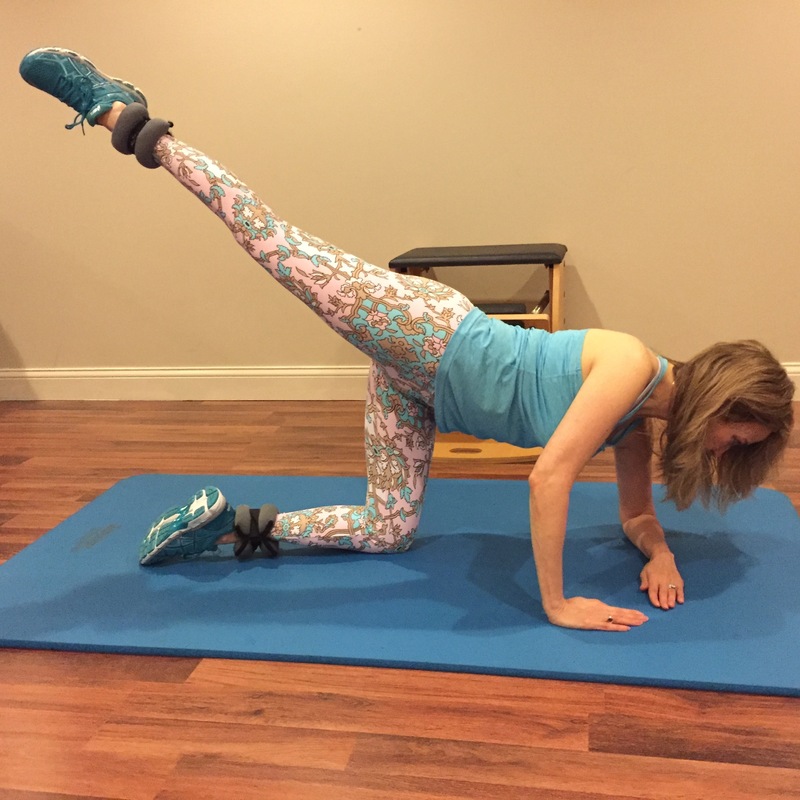 This hip drop exercise demonstrates how to strengthen balance by engaging the gluteus medius. You can modify this exercise by standing on the floor, or increase the challenge by standing on an unstable surface such as a BOSU. Stand on yoga block with your right foot in a parallel forward facing position. Keep your right leg straight as you allow your weight to shift to your left until that hip drops. Notice how this causes misalignment down the supporting (right) leg into the knee and ankle. The hip drop also places the left knee out of alignment as it begins to cross the midline of the body. Can you feel how more of your weight shifts onto your supporting ankle? Now engage the gluteus medius on the supporting leg (right leg) to lift the left hip even with the right hip. It can help to place your hand on the muscle and feel it work. To locate it, place your thumb on your ASIS (frontal hip bone), stretch your little finger around your outer hip and reach your fingers down your outer thigh (see the anatomical illustration above.) Notice how as the hips become level there is an improved alignment in both legs and the force of your entire body weight no longer seems to balance atop your ankle. If we allow persistent hip drop when we walk or run, we set ourselves up for all kinds of injury, some of which are outlined here. If the gluteus medius is weak, other muscles must step in. 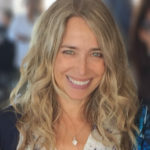 These compensatory muscles are no longer playing their intended roles and can become overworked, strained and can throw our alignment off track. 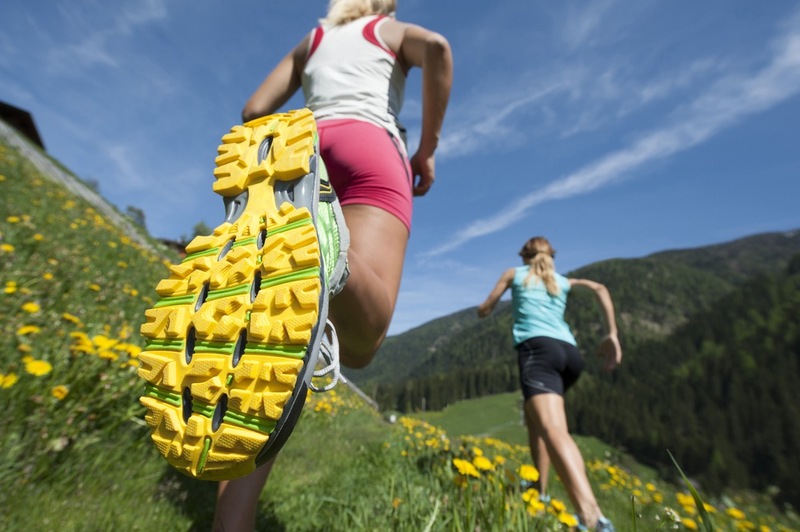 The gluteus medius function helps protect runners from injury. Its abduction helps stabilize the pelvis and maintain proper alignment throughout the kinetic chain of the lower extremities. The IT band (fascia that crosses the hip joint and inserts on the knee and lower leg), along with the tensor fascia latae (TFL muscle), support this abduction of the leg. If the gluteus medius is weak, the IT band and TFL can compensate and become overworked. With an inflamed IT band that can no longer support abduction of the leg, the leg can begin to pull into the midline, placing strain on the outside of the leg and knee. The photo illustrates this. 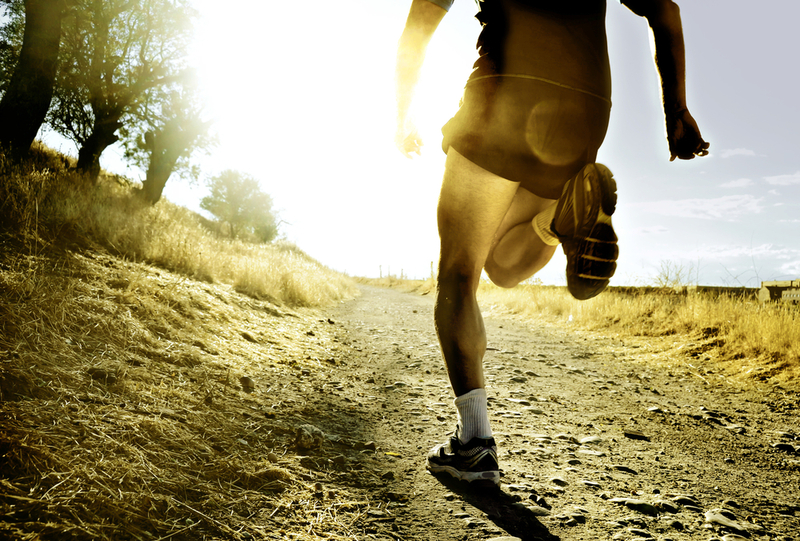 Notice how the runner’s right knee is crossing towards the midline of his body. This can lead to IT band syndrome, lateral knee pain and shin splints. Another muscle that can take over for a weak gluteus medius is the piriformis. An external rotator of the hip, the piriformis is a relatively small muscle that lies within the buttocks. In many people the sciatic nerve runs through this muscle. If the gluteus medius does not maintain the pelvis in an upright position while standing, the piriformis can be overused. A shortening or tightening of the piriformis can impinge upon the sciatic nerve and radiate pain into the buttocks, lower back and down the leg. When our weight is balanced on one leg (when we walk or run) the gluteus medius helps keep the hip of the supporting leg from dropping. But a weak gluteus medius can create an increased angle of the pelvis and femur – creating a hip drop. 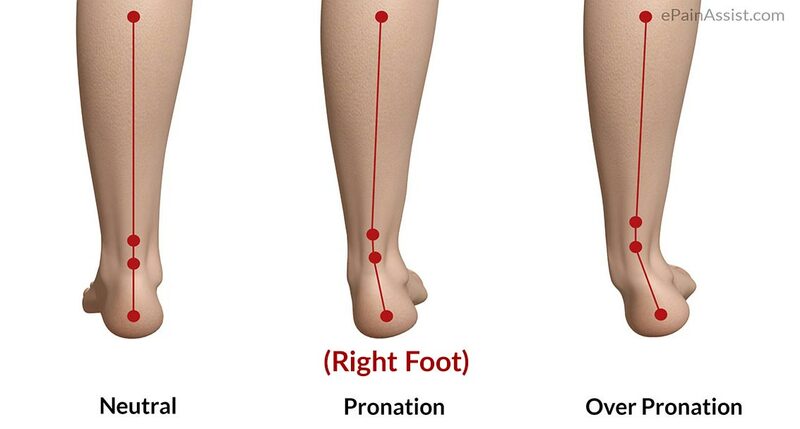 This can cause the leg to adduct (pull in to towards the midline of the body) and internally rotate, causing misalignment in the knee and excessive rotation of the lower leg that can produce over-pronation in the feet. Over-pronation of the foot can lead to ankle strain and plantar fasciitis (heel pain). Perform these exercises by feeling and engaging the gluteus medius muscle. 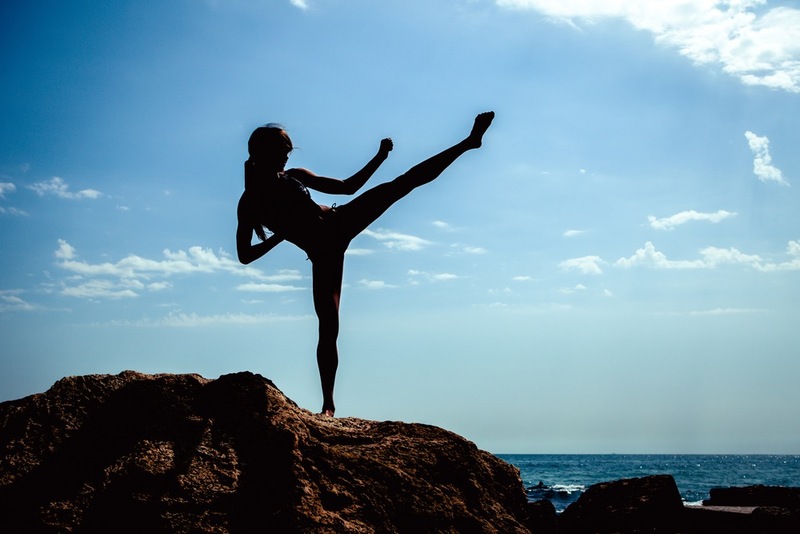 With each repetition, focus on what you are using to move your leg, instead of how high you lift it. This will help properly engage the gluteus medius muscle. It may help to place your hand on your muscle and feel it doing the work. These exercises can be done with or without ankle weights. The weights pictured are two pounds each. Perform ten to thirty repetitions of each exercise, on each leg. Studies have shown that side lying abduction is one of the most effective ways to strengthen the gluteus medius. This position limits the activation of the TFL (tensor fascia latae), which fires when the hip is flexed. Lie on your side, with you head down or propped up with your hand. Start with the leg reaching out straight at hip height in a parallel position, with the knee facing forward. Lift the leg just enough to engage the gluteus medius and return to hip height. Be mindful to maintain a parallel position throughout this series. Variations: Lift the leg slowly for two counts and lower for one. Then lift your leg slowly for one count and lower slowly for two counts. Or position yourself on your forearm and engage your obliques. Lie on your side on your forearm. Engage your oblique muscles for support. Both legs are bent at 90 degrees and the top leg is placed on the ground just in front of your hips. Lift the top leg up and reach it back in a diagonal straight position. On your hands and knees with your right forearm on the ground, lift the left leg in 90 degrees and cross it behind the right. Maintaining the 90 degree position, lift the leg up and diagonally to the left using the gluteus medius muscle. Be mindful not to lift the leg too high, the lower back should remain stable. Also engage the gluteus medius muscle of the supporting leg to keep that hip from dropping. On your hands and knees with right forearm on the ground, lift the left leg and cross it straight behind the right. Lift the leg up and to the left. Again, be mindful not to lift the leg too high. Also engage the gluteus medius muscle of the supporting leg to keep that hip from dropping. The gluteus medius can help keep injuries at bay. When we give this muscle some love and attention, it supports healthy movement – so we can focus on reaching our true strength. Please feel free to share questions, experiences and helpful exercises in the comments below or contact me directly. Wishing you good health and a mighty medius! Copyright © 2016. All rights reserved. All content on this site or any portion thereof may not be reproduced or used in any manner whatsoever without the express written permission of the site owner. Fantastic article. It’s a muscle I work on always not only on myself but with my clients. 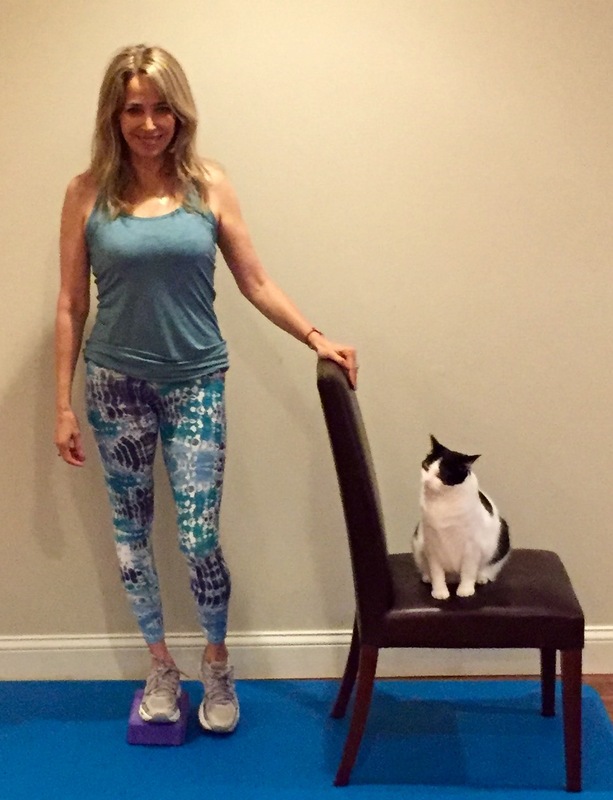 Thank you, Jodie Pilates! I appreciate your feedback.